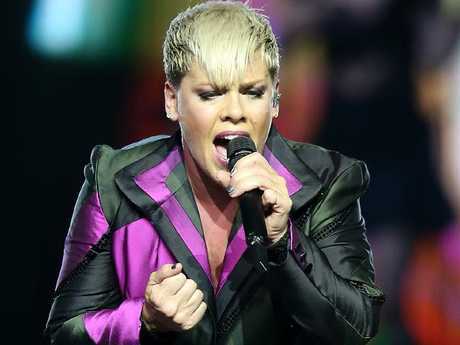 P!NK will be flying high again in Sydney this weekend as the full extent of her medical emergency is now revealed. As the Beautiful Trauma star confirmed dates for the rescheduled concerts at Sydney's Qudos Bank Arena, she explained the late cancellation of her Monday night concert as fans queued outside the venue was made as she was rushed to St Vincent's Hospital in "excruciating pain." Her long-time promoter Michael Coppel who heads Live Nation in Australia said Alecia Moore, as she is on her passport, had no voice left last Thursday when she was forced to postpone the first of nine Sydney concerts. "Alecia willed herself to perform on Saturday night and honestly, it was the best show of the tour," Coppel said. 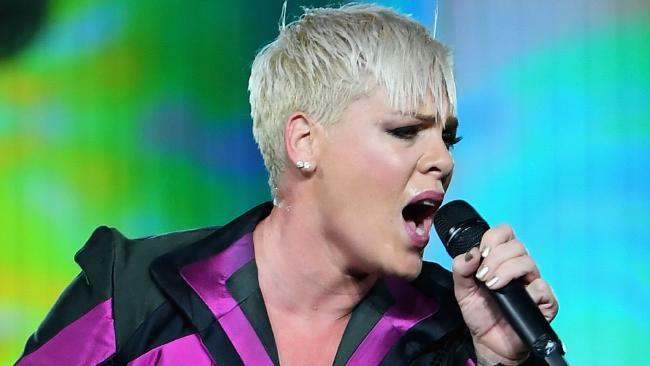 Pink fell ill on Sunday and was taken to hospital for tests and "a couple of bags of saline infusion" to treat dehydration. She left hospital that evening and was determined to go ahead with the next scheduled gig on Monday. But on Monday afternoon about 3.30pm as she was preparing to head to the venue for soundcheck, she became seriously ill. Some disappointed fans who travelled to Sydney from interstate or regional areas expressed disappointment they had not been given more notice about Monday's show not going on. "She suffered very serious attacks. She couldn't breathe and was doubled over in pain and had to be taken to hospital in an emergency ambulance," Coppel said. "By that time, doctors were able to diagnose her based on the results from tests they had done the night before. "She wasn't waiting to see if and when she would be able to perform when she was struck down with the virus. How a virus affects someone is not predictable at all. "She was discharged on Tuesday night and we hoped she could play on Thursday but she is still quite weak. "This is not a show you can do unless you are 99.9 per cent match ready and she's not there yet so we will give her this week to recover." P!NK thanked fans for their support on Wednesday with an Instagram post which also explained why she needs time to recover before she heads back into the rafters of the arena to perform her all-singing, all-flying show on Saturday. And the unfiltered funny woman couldn't resist a pun about her gastric virus. "A lot of you know how physical my shows are, and that I don't just stand in front a microphone and sing," she wrote. "I flip, dance, fly, harness, silk, and scream my way through a total s… show of awesomeness (no pun intended). "Therefore, I need to be physically healthy and well in order to perform this show. I think all of you deserve the full show and me at my best. 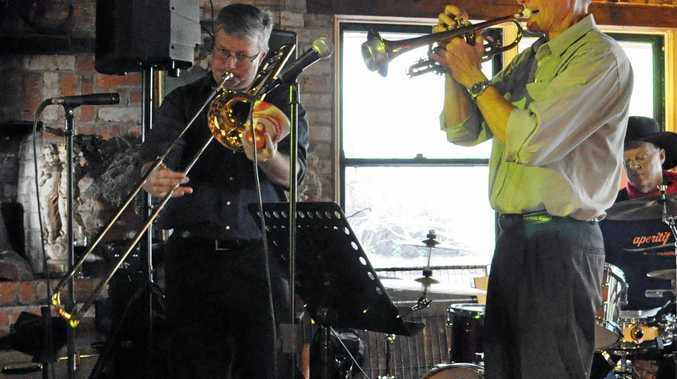 "Our next show will be Saturday, and until then I will be drinking green tea, and spending time with my kids. "That's a warning to paparazzi, you might actually see me walking upright outside of my hotel room cage with two little children, and another warning: I might even smile. Not too much, though. I'll try to control the smiling." She also apologised to fans who had been inconvenienced by the postponements and were out of pocket because of hotel and transport expenses. Coppel said it will cost more than $2 million to bring the tour back to Sydney for the four rescheduled concerts in September. "We don't discount that people have made arrangements and I wish it could be different; we genuinely hate people's lives being disrupted, both fans and everyone on the tour. Alecia is determined not to disappoint fans who have bought tickets to see her," he said. Those close to the hardworking pop star mum - and many of her loyal fans - have defended her against "social media snark" and negative media reports because of the concert delays. "She has been coming here for a long time, has had huge success here and she does not take that for granted," Coppel said. "She loves coming to Australia, she spends three months here each time with her family and there are few artists who will spend that time when they are touring. "We were all worried she was determined to get back and perform as soon as possible and push herself too hard. She's human, not a superhero taking a day off." The Beautiful Trauma tour will resume on Saturday. Tickets for the August 3 concert are now valid for August 24, the August 6 concert will be held on September 17, the August 7 concert is on September 18 and August 9 concert on September 19. To fit in the Sydney shows, the Brisbane concert scheduled for August 23 has been brought forward a day to August 22. Live Nation advises fans who are unable to go to their rescheduled Sydney or Brisbane show date may exchange their tickets for an earlier date in that city (subject to adjustment for any ticket price difference) while available. For General Admission ticket holders in Sydney wishing to attend on an alternate concert date there is best availability to exchange their tickets for the August 25 and 26 shows. Alternatively fans with tickets for the postponed dates who are unable to attend on any other date may obtain a refund by submitting a request via Ticketek.